While much attention is focused on rejuvenation of the face, aged hands are often neglected by consumers of cosmetic beauty products, despite the fact that they can often more easily reveal your true age. As a result, hand injections with dermal fillers are becoming increasingly popular, as they are an effective treatment for rejuvenating the appearance of aging hands, and imparting a fresher, healthier look. Often times, one of the easiest ways to determine a person’s age at a glance is to simply look at their hands, not their face. It is common to take care of the your facial skin on a daily basis, apply sunscreen to the face, wear a hat when outdoors, and undergo regular facial cosmetic treatments, the same attention and care is often not lavished on the hands. It is for this reason that your appearance may seem many years younger than you actually are, based on your face. At the same time, it’s possible that the wrinkles on your hands, prominent hand veins, or discoloration on the back of your hands may be telling a different story about your age. New techniques in hand rejuvenation however, now allow this tell-tale sign of aging to be treated and reversed. Our hands tend to be one of the first problem areas that begin to show visible signs of aging, because we use them so much and they get so much exposure. The natural effects of aging, as well as exposure to sunlight are the main cause of this appearance. The most common signs of visible aging in the appearance of your hands include spots of discoloration (sometimes called “age spots”) as well as even potentially precancerous growths. Hands also tend to lose some fatty tissue as we age, giving our hands a scrawny, bony appearance. Cosmetic hand rejuvenation treatments using injectable dermal fillers can result in a big improvement and refresh your hands to appear younger and healthier. With the increasing interest in the various cosmetic surgery procedures for hands, including injectable fillers, it is important that if you are considering these treatments, that you research and understand the various aspects of cosmetic hand rejuvenation, including what the procedure can and cannot treat, whether you’re a good candidate for hand rejuvenation, any inherent risks or side effects, costs, the recovery time, preparation before the procedure, and other relevant factors. The information on this page serves to provide you with a basic, yet detailed overview of hand rejuvenation. It is important however, if you are seriously considering a hand rejuvenation treatment, to consult with one of our qualified, experienced Nurse Injectors for more information tailored to your specific situation and expectations. The length of the procedure depends on the extent of the injections required, but they can typically be completed within 30 minutes. To minimize pain, the area is usually injected with an anesthetic such as Lidocaine prior to the start of the procedure. Injections are made in the spaces between the fingers using a very fine needle. Afterwards, your hands will be massaged to promote the spread and even distribution of filler across your hands. After the procedure, cold packs can be applied to your hands, to aid in healing. The results from this procedure will be evident immediately and will typically last for a minimum of six months. Before a patient receives dermal filler injections, a skin test is usually performed to determine whether the patient may be allergic to the treatment. This is usually done with an adequate amount of time before the first round of injections to ensure the patient can safely undergo the procedure. During that time the patient should keep an eye on the test site for any indications of redness, itching, swelling or other potential reactions. If any of these should occur, the patient should contact our clinic and let us know. The actual dermal filler injections themselves are typically quick to perform, usually lasting around 30 minutes to an hour. The Nurse Injector will inject the cosmetic filler at several points along the area to be treated, just under the surface of the skin. Who’s an Ideal Candidate for Hand Rejuvenation with Dermal Fillers? – To become less self-conscious about your hands. – To have smoother looking skin. – To restore a younger, healthier look overall. It is important for the prospective patient to understand and be aware that cosmetic procedures are capable of big improvements, but not always perfection. You should have realistic goals and expectations for the results of your hand rejuvenation treatment. Be sure you discuss your reasons for wanting to undergo this procedure with the Nurse Injector during your consultation appointment. This will also be a relevant factor to determine whether you are a good candidate for the procedure. Is There any Pain Involved with Hand Rejuvenation Injections? Dermal filler hand injections are a very minimally invasive and minor operation with little pain involved. Very tiny needles are used to inject the filler so patients many patients report feeling only minor pricks to their skin. Typically, an anesthetic agent is mixed in with the collagen to minimize the possibility of any unnecessary discomfort. For people who are sensitive to pain, a topical numbing cream or spray may be used to anesthetize the area. Are There any Risks Associated with Hand Injections? Having an allergic reaction to the dermal filler is the biggest risk. For that reason, a skin test is performed to prevent this from occurring in patients who may be allergic. There are additionally some minor, non-allergy associated risks with hand injections, which includes: infection, abscesses, sores, peeling skin, scarring, or lumpiness, which may occur at the site of treatment. The results of hand rejuvenation procedures are not permanent. The body does eventually begin to absorb the dermal filler, so follow-up treatments are necessary to maintain results over years. Surgical cosmetic procedures (e.g. a face lift) create longer lasting results than more non-invasive procedures like hand injections. 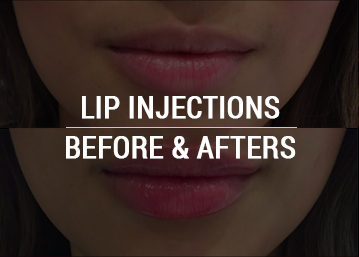 Injections with dermal fillers are a perfect solution for those who are seeking an easy, convenient procedure, with a minimum of pain and recovery time. The results of dermal filler injections will vary from person to person, however most patients report roughly half of the fullness in their hands beginning to subside around six months after treatment. In order to maintain the results over time, repeated treatments are necessary. Those who do not continue with follow up treatments will begin to notice the appearance of their hands gradually reverting to the way they looked before the first procedure. Usually the results from hand injections, which are immediately apparent, will last from three months to one year, and injections can be repeated when desired. Patients who have a history of impaired healing, or diabetes, ongoing sun exposure, or smoking may see a less dramatic initial result and the effects may not last as long. To help maintain the results of your hand rejuvenation it is important to keep hands from sun exposure and to take other precautions such as wearing gloves in cold weather and regularly applying moisturizer to your skin. Your hands may appear puffy or slightly swollen for a few days after the rejuvenation procedure. The recovery period and downtime however, are minimal. People who undergo dermal filler injections for hand rejuvenation can go back to their normal daily routine very soon after treatment. You might experience a little mild stinging or throbbing in the injected areas, but this is normal and only temporary. To help ensure a quick recovery, be sure to follow your clinician’s post-op care instructions. For your health and safety, as well as the most beautiful cosmetic outcome, you will want to make a follow up visit to Skinjectables Cosmetic Clinic for an evaluation at a predetermined appointment time and subsequently, any time you need to if you notice any changes in your hands. Do not hesitate to contact your doctor with any questions or concerns. How Will I Need to Prepare for the Procedure? Your Nurse Injector will provide you with thorough preoperative instructions to prepare for the procedure ahead of time, as well as answer any questions you may have, get a detailed medical history from you, and perform a physical exam to determine your fitness for treatment. If you’re considering hand injections you should find a qualified, experienced health care provider specializing in aesthetics to assess your needs and expectations, and perform the procedure. 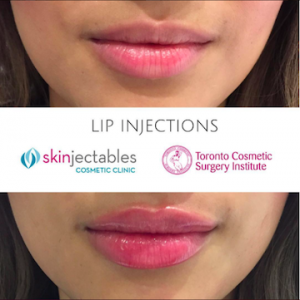 Located in the heart of the Financial District in downtown Toronto, Skinjectables Cosmetic Clinic delivers the latest injectable filler treatments and medical-grade skin care products with the intent of improving and rejuvenating your appearance.